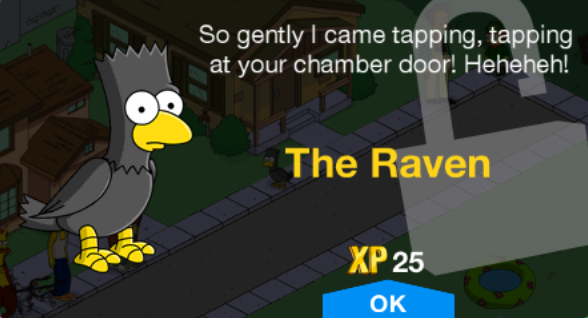 Treehouse of Horror XXIII is a character collection in The Simpsons: Tapped Out. 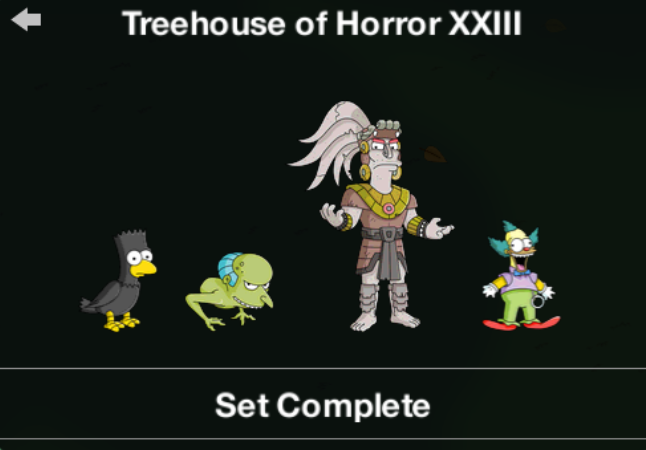 The collection features characters from the Treehouse of Horror series. 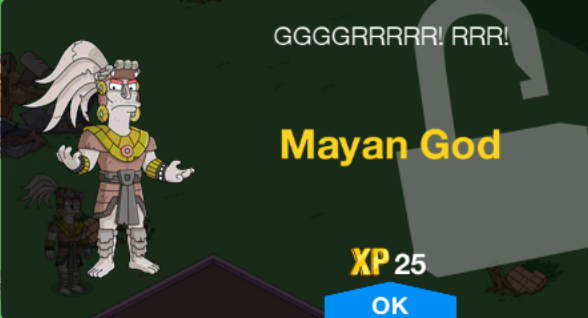 Flies up in the air when tapped. Sticks his tongue out when tapped. 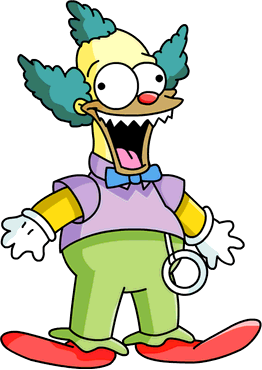 Says "I'm Krusty the Clown and I love you very much." while hearts float over his head and he clasps his hands when tapped. 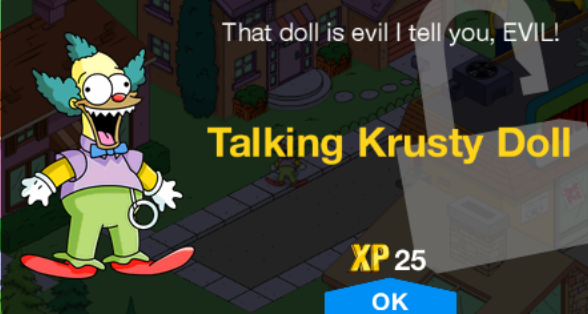 Says "Krusty say die." 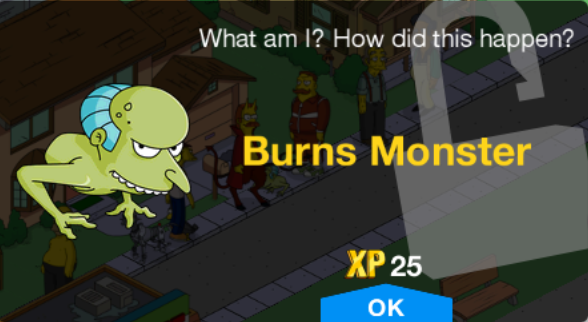 while stabbing with a kitchen knife when tapped. 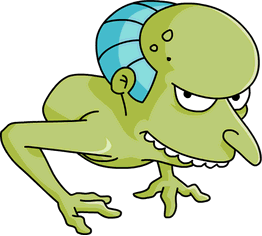 Despite being called "Treehouse of Horror XXIII", only one of the characters in the collection were in that Treehouse of Horror episode. 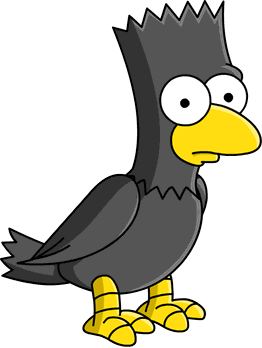 The Raven was from "Treehouse of Horror", the Talking Krusty Doll was from "Treehouse of Horror III" and the Burns Monster was from "Treehouse of Horror XVIII". 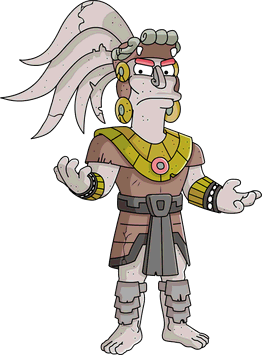 Kang was previously in this character collection before being moved to Aliens. Modified on December 5, 2018, at 13:01.